My, my! How times have changed and how quickly they are changing! We have a very long way to go, but we are in the midst of a cultural shift. The next few years should be very interesting! A fascinating memo from George W. Bush's 2004 pollster, Jan van Lohuizen. 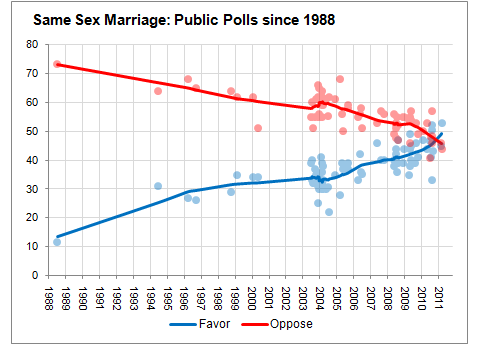 In it, he argues that it's time for the Republican party to embrace gay marriage because the polls on the subject are changing so quickly. 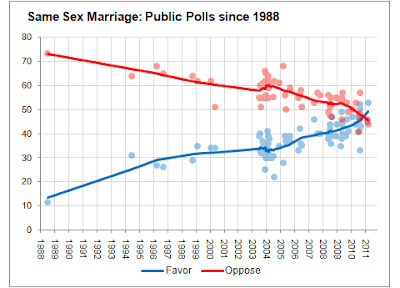 He even notes that this isn't just a generational issue, where the younger generation is simply better than the older, but rather that support for marriage equality is growing significantly, year by year, among all generations.